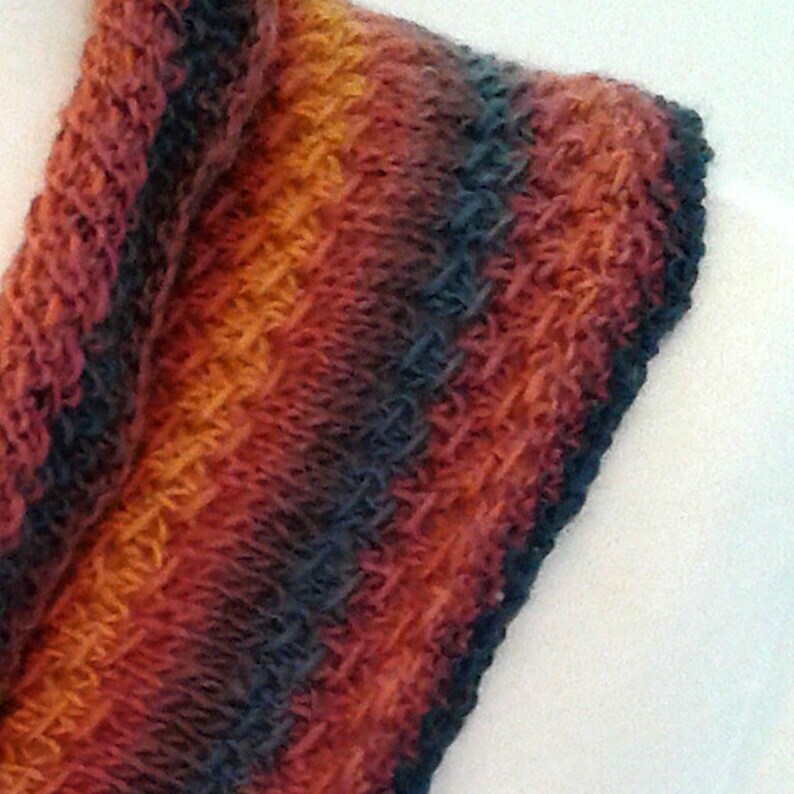 This beautiful handmade knit infinity scarf neck warmer cowl was made with 100% acrylic yarn in lovely warm rich colors. Autumn rusts, golds and browns accented with deep green/blue make for a beautiful fashion scarf that is not only pretty but functional as well. It is made to be worn as a single loop cowl or as a doubled over neck warmer. It would make a perfect gift for others or for yourself!